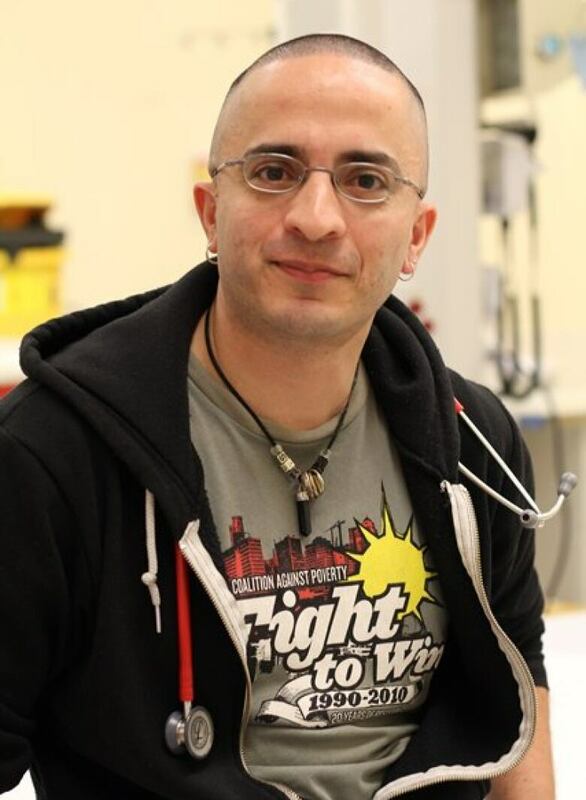 It’s been one year since pediatric ER physician Samir Shaheen-Hussain helped launch #aHand2Hold — a campaign to end the longstanding practice of preventing parents from accompanying their children on medevac flights. What should happen next? It's been one year since we launched #aHand2Hold — a campaign to end the longstanding practice of preventing parents from accompanying their children on medical evacuation (or medevac) flights from rural and remote regions of Quebec. We can certainly celebrate a victory: all children are now supposed to have a loved one's hand to hold during emergency airlifts by Évacuations aéromédicales du Québec (ÉVAQ). The disturbing question that lingers is why such an antiquated practice was allowed to remain in place for so long, particularly given that families and community leaders in Quebec's Inuit territory of Nunavik — who were disproportionately impacted — and children's advocates had been calling for a change since at least the early 1990s. In December 2017, we sent a letter to ÉVAQ and the Quebec Health Ministry outlining the reasons why such a practice must cease, among them: child- and family-centred care, ethical considerations, standard of care, and the historical context of Indigenous children being forcibly removed from their families. This letter was used to launch the #aHand2Hold campaign publicly on Jan. 24, 2018, which garnered media attention across Quebec and Canada. The Health Ministry's initial response was that changing the practice wasn't possible, but the unprecedented public outcry spurred by the campaign forced a dramatic turnaround. 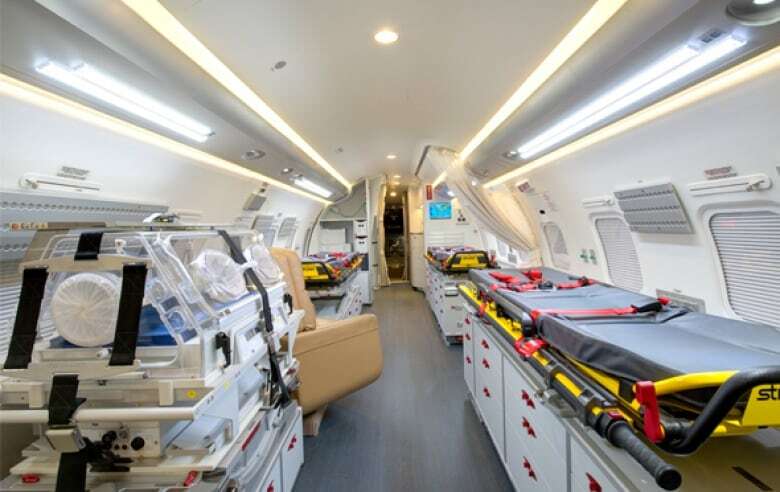 On Feb. 15, the then-health minister, Gaétan Barrette, announced that within weeks, a parent or guardian would be allowed to accompany a sick child on a medevac flight. Despite that, in the months that followed, not a single child transferred to Montreal by ÉVAQ's Challenger plane was accompanied by a caregiver. As a spokesperson for the #aHand2Hold campaign and as an expert witness, I testified in March at the Viens commission on relations between Indigenous peoples and public services in Quebec. I characterized the continuing practice of barring caregivers from medevac flights as an example of medical colonialism. Several families publicly denounced yet another broken promise to Indigenous communities. Amir Khadir, then MNA for Mercier, confronted the health minister about the unacceptable delays, invoking the case of Christina-Mae Munick, a two-year-old Inuk child who had been transferred alone from Kuujjuaq. "If this was a child from Westmount, is this what we would do?" Khadir asked. In May, Le Devoir reported that neither the Health Ministry nor ÉVAQ had an actual written policy that prevented parental accompaniment on medevac flights. So on what basis were caregivers systematically refused requests to accompany their children all these years? Perhaps the most shocking revelation came from a recording, made public by CBC and Le Devoir on June 21, National Indigenous Peoples Day. During a pre-electoral visit to a cultural community centre in his riding, Barrette was questioned by a member of the public who had obviously been following the #aHand2Hold campaign closely about why the change in practice was taking so long. Barrette confirmed that the practice was going to change soon (finally! ), but not knowing he was being recorded, he went on to make a prediction about transfers from Nunavik: "there will be at least one instance in the next six months" where the media would report a case of a parent who would be barred from accompanying their child because of being intoxicated. This "happens all the time," he said. 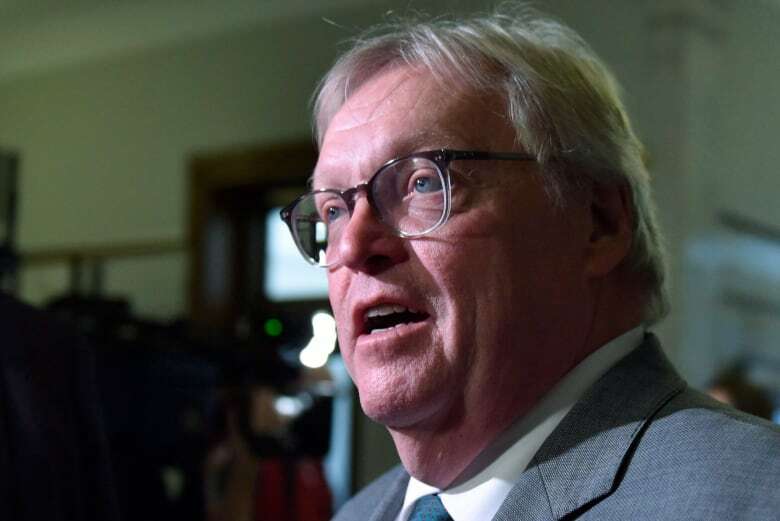 Indigenous leaders called for the minister's resignation, decrying his remarks as perpetuating colonial and racist stereotypes that exposed the "deep roots of prejudice and discrimination against Indigenous people," and as evidence of "institutionalized racism." Barrette issued a pseudo-apology but denied the accusations of racism; Premier Philippe Couillard stood by him. Six months have now passed since those ignoble remarks, and Barrette's prediction has proved to be patently false: there have been no news reports of a parent being prevented from boarding the Challenger plane to accompany their child on account of intoxication since the new policy went into effect on June 29. But that was a straw-man argument all along. Even though the former health minister tried to scapegoat — and effectively dehumanize — the very same people most adversely impacted by a draconian practice, the source of the problem was within the ministry itself. 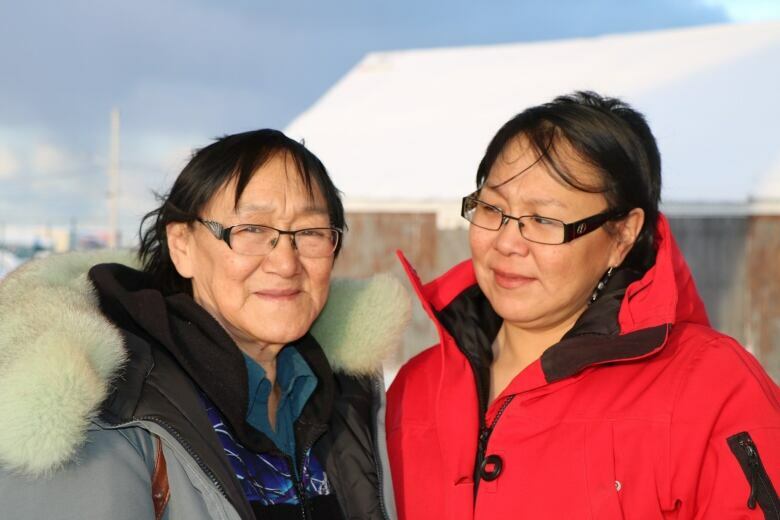 One wonders whether this issue would have dragged on for so many years if it were not Inuit families from Nunavik who were so often the ones being left off the plane. Throughout the #aHand2Hold campaign, the intention was never to point fingers at specific individuals. The focus was rather on understanding the issue as one stemming from racism that is deeply embedded in a system that we've inherited — one that will continue to perpetuate itself if we choose not to confront it. But we can't end systemic racism until governments first recognize that it exists. In A Better Way Forward: Ontario's 3-Year Anti-Racism Strategic Plan, the authors explain that systemic racism "can be unintentional, and doesn't necessarily mean that people within an organization are racist." However, when a health minister makes remarks that perpetuate anti-Indigenous racist stereotypes with impunity, how can we know that such perspectives are not embedded in other ministries and institutions whose mandate is to serve the public in an equitable and transparent manner? Although he was re-elected in his riding, Barrette's Liberals lost the October election. The #aHand2Hold campaign was successful in putting an end to one longstanding draconian practice, but other forms of discrimination and inequalities persist. Prior to its election, the Coalition Avenir Québec vehemently opposed the Couillard government's plans to hold consultations into systemic racism, disingenuously suggesting that that would put Quebecers on trial. François Legault, now premier, said repeatedly that systemic racism doesn't exist in Quebec. Such magical thinking is dangerous. Systemic racism is real and has very harmful consequences on those impacted by it — including children. The new government need only read the 2015 portrait of the health of youngsters and their families in Nunavik, produced by the regional health agency and the Institut national de santé publique du Québec. It explains the systemic issues that affect health-care access and health outcomes for these children. The report highlights how important it is to integrate the principles of cultural safety into health care services — an approach that describes a way of working with people of a different cultural upbringing that doesn't diminish, demean or disempower them. As I testified at the Viens commission in October, cultural safety training must be made mandatory for everyone working with Indigenous communities in the health care system, from frontline workers to the health minister. In consideration of the social and structural determinants of health, the government must take a hard look at its policies and practices, to root out racist and colonial thinking. With the National Assembly about to go into session next week, will the CAQ government institute measures to address the scourge of systemic racism in our health care system and other public services? If there is a true commitment to ensuring equitable access to dignified health care for everyone living in this province, the path for the new government to follow is clear. This column is an opinion piece. For more information about commentary, please read our FAQ. CBC Montreal is seeking out points of view on issues that matter to you in your community. If you have an idea, send us an email: sabrina.marandola@cbc.ca. 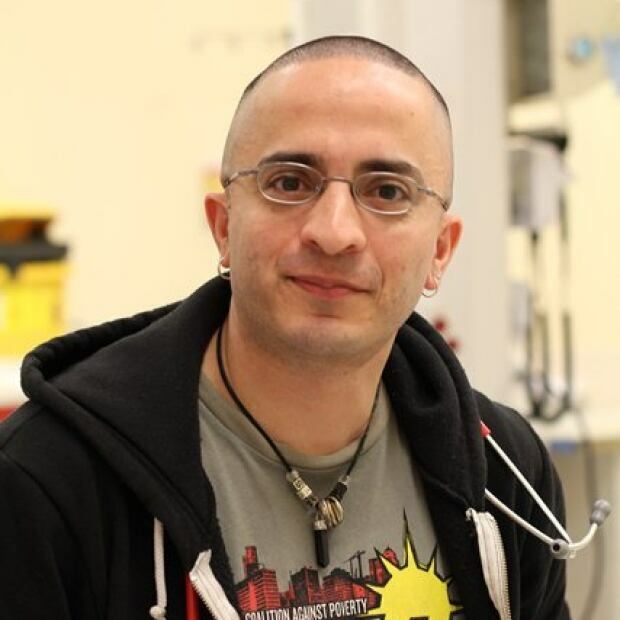 Dr. Samir Shaheen-Hussain is a Montreal pediatric emergency physician and assistant professor at McGill University's Faculty of Medicine. He co-founded the #aHand2Hold campaign.